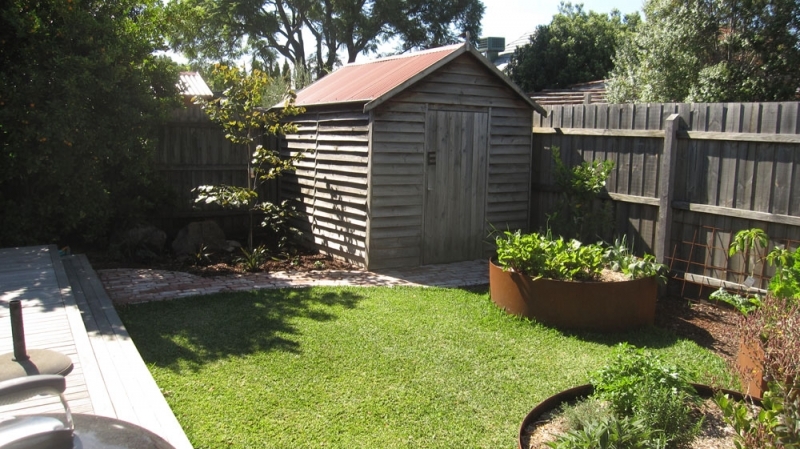 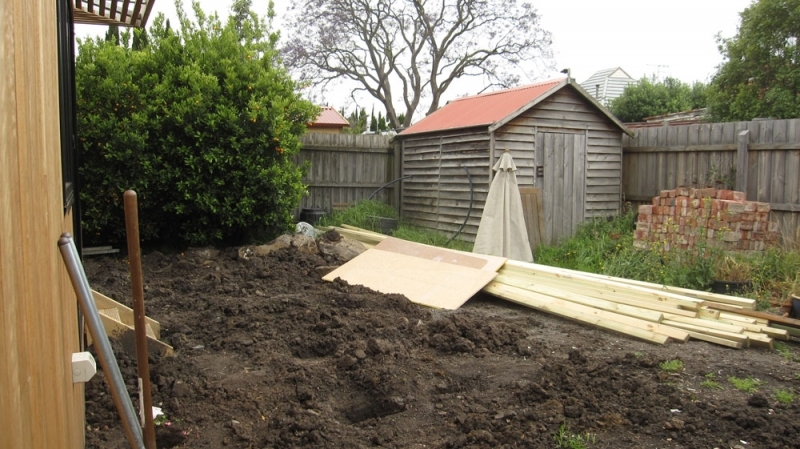 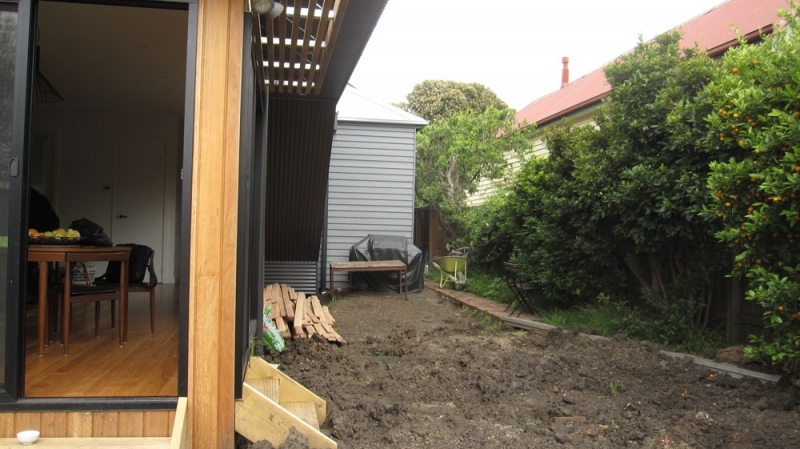 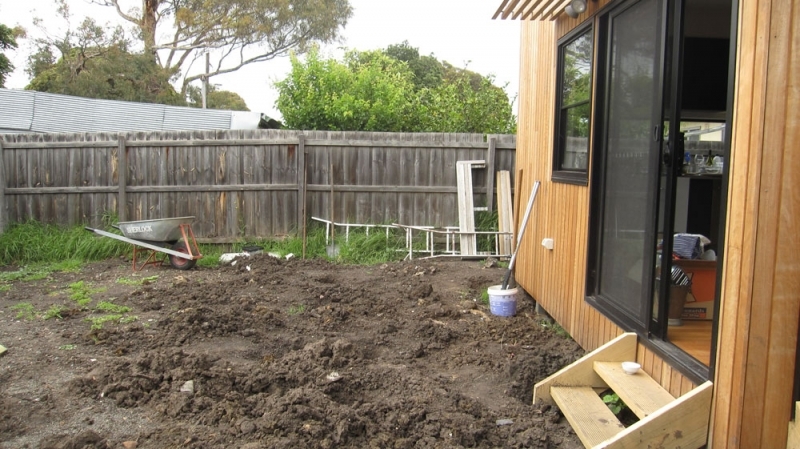 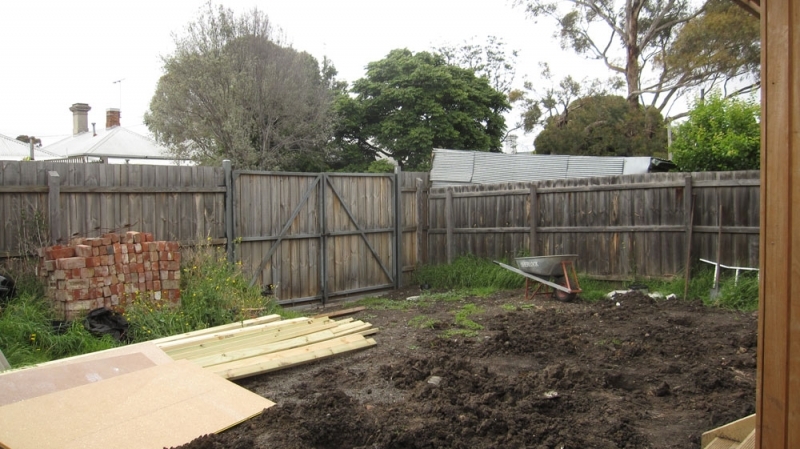 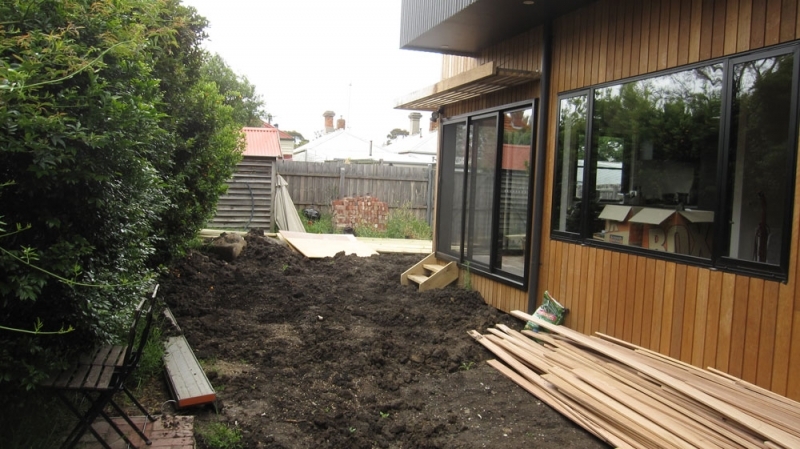 Following a modern extension to a traditional Brunswick cottage, there was a need to turn a muddy building site to a family garden. 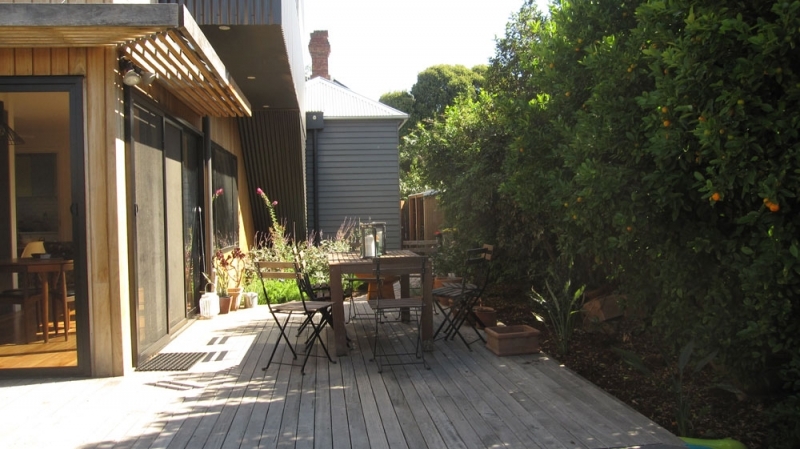 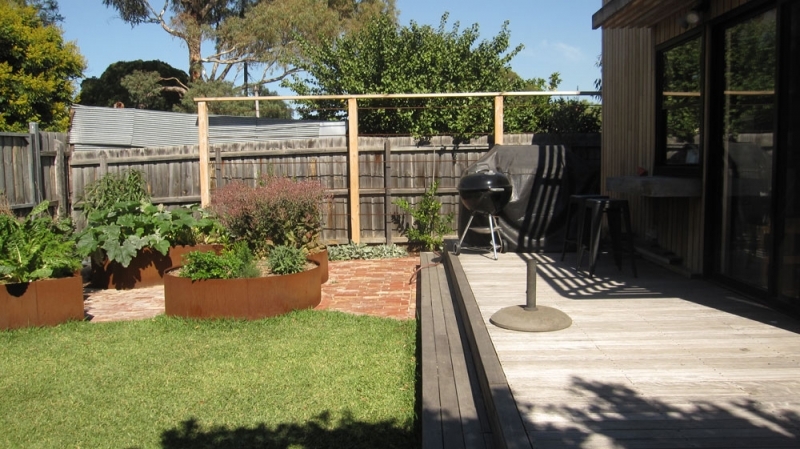 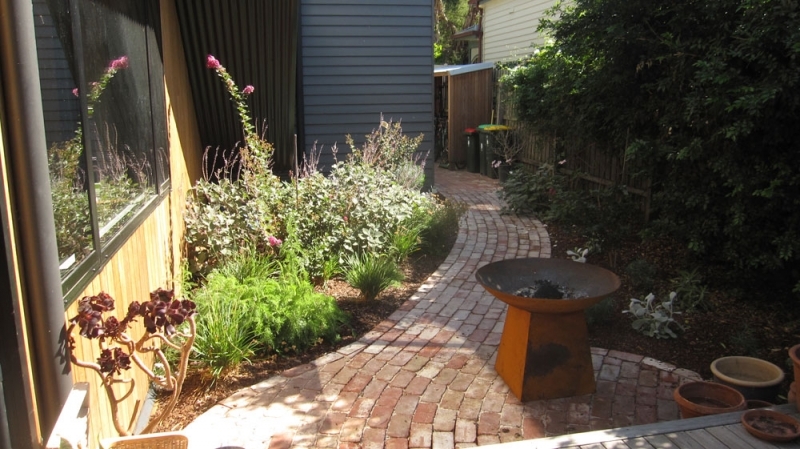 A path of old red brick now flows from a new timber deck. 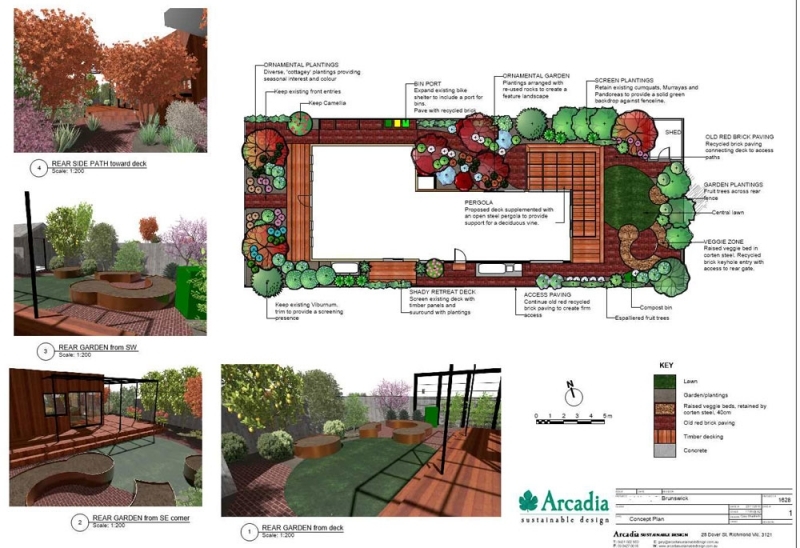 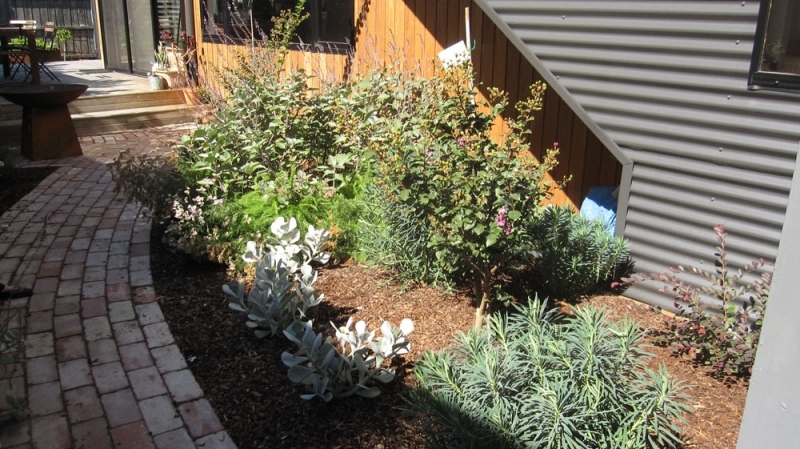 This takes you through new garden plantings to other new landscaped zones. 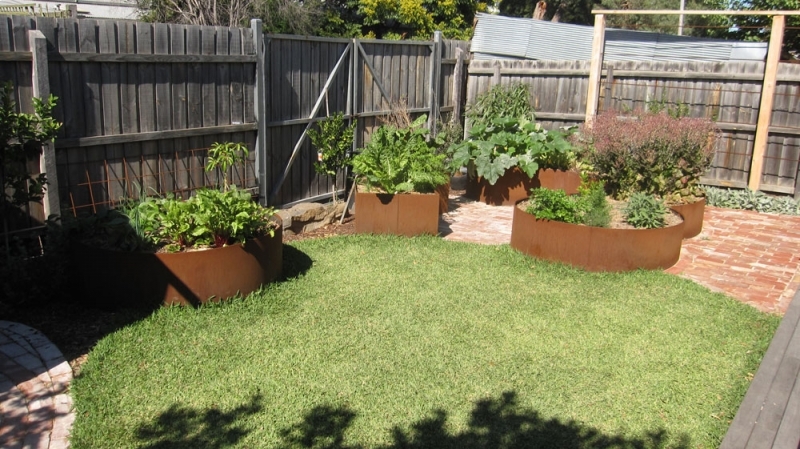 Organically shaped raised veggie beds made in rusted steel complement fruit trees and frames for climbers and espaliers. 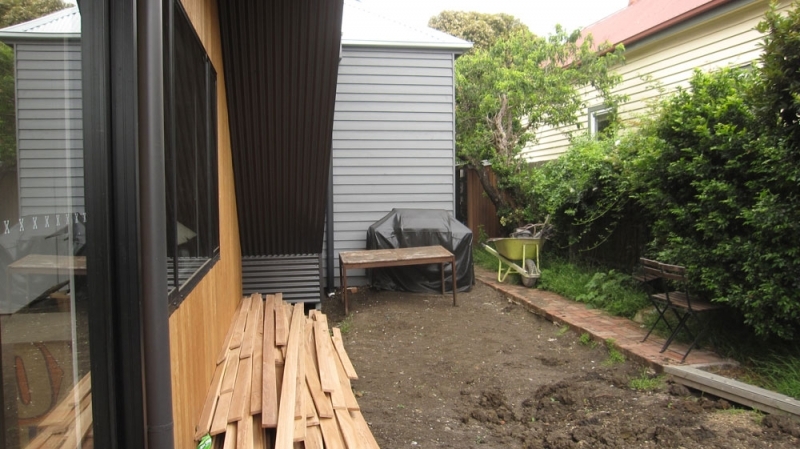 The old timber shed now looks like it belongs.